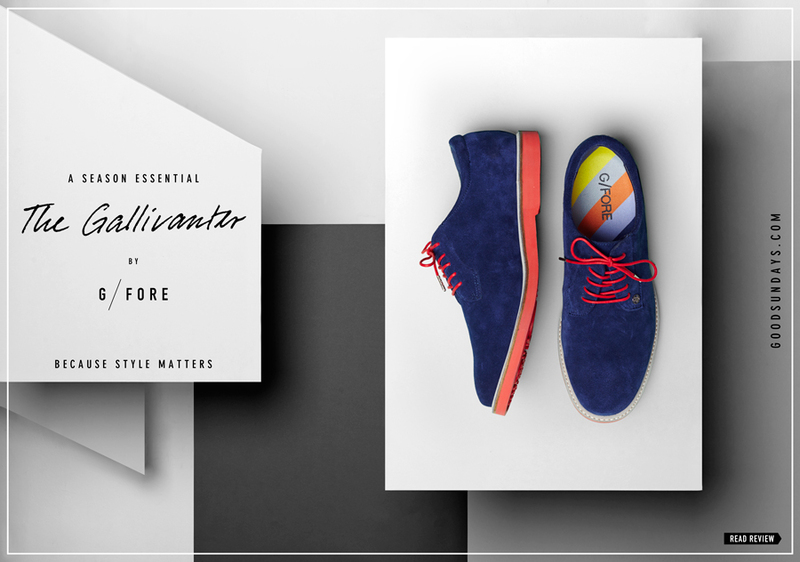 There is a new season’s essential: “The Gallivanter”. 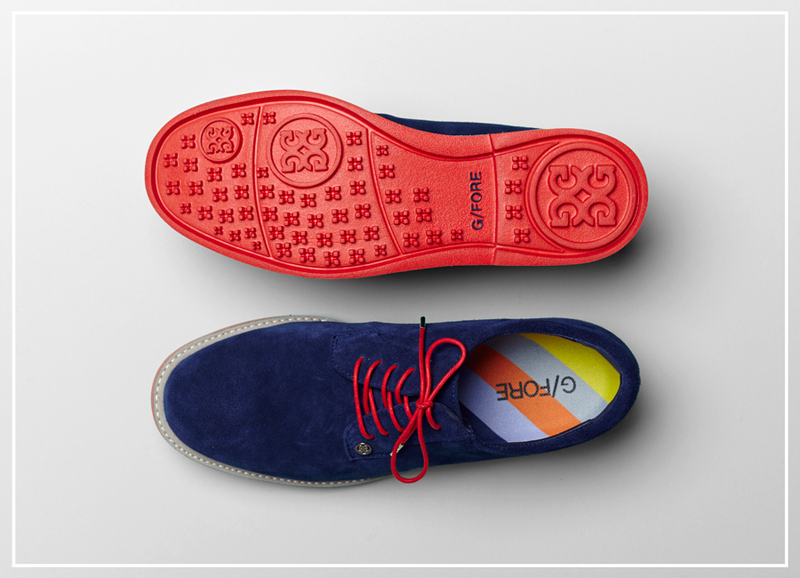 The brand G-Fore with its huge fashion background around the founder Mossimo Giannulli has made it again. After they have breathed colourful life into golf gloves, G-fore released “The Gallivanter” in 2013 – a colourful masterpiece riddled with technical and design details. This shoe includes a lot of technology, with a shock absorbing lightweight sole and it’s extremely water-resistancy it is perfectly equipped for any weather. A nice detail are the soft spikes shaped like the G-Fore logo. These shoes are so comfortable you can easily walk in them for 40 holes per day and this isn’t enough – just keep them on, they suit perfectly to your everyday wardrobe. They’re a great on and off course golf hybrid. Everything is perfectly finished and in awesome quality. Right now “The Gallivanter” is available in four different colours. With all the lovely details like the colourful striped inlay or the … they’re a really nice season’s essential. It remains exciting what’s next out of the fun factory!